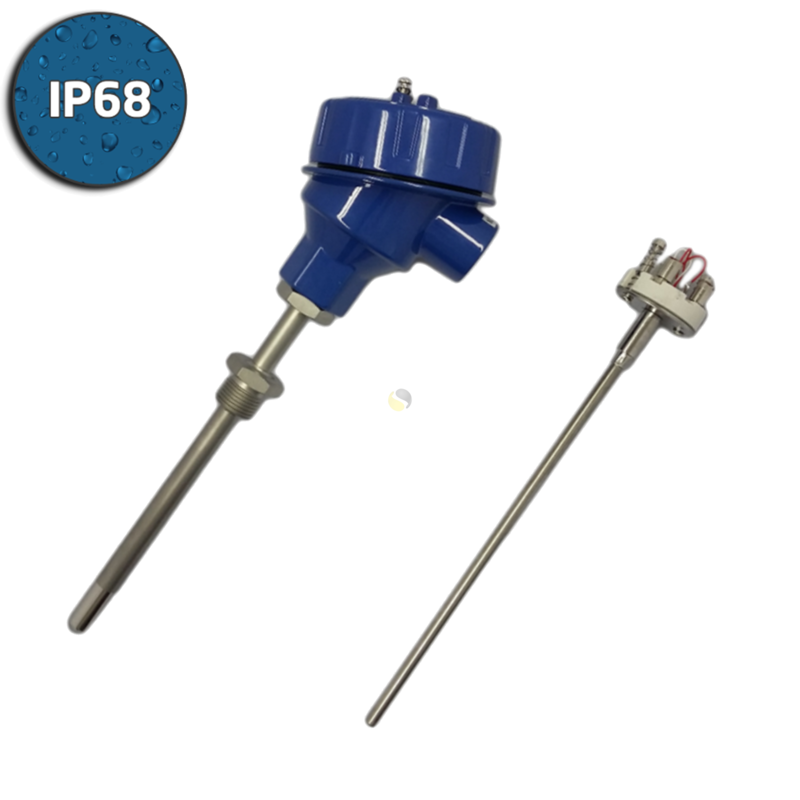 A Mineral Insulated Pt100 temperature sensor with explosion proof head for use in hazardous environments. 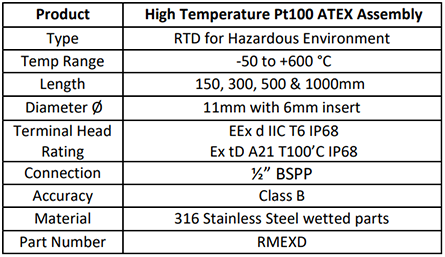 This range of resistance thermometers are designed for use in demanding applications, which require a robust high temperature sensor assembly. 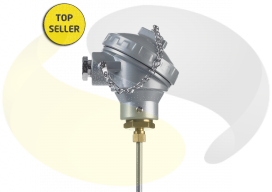 The RTD consists of a Pt100, Class B 3-wire, 6mm diameter removable MI insert, housed in an 11mm diameter rigid stem. 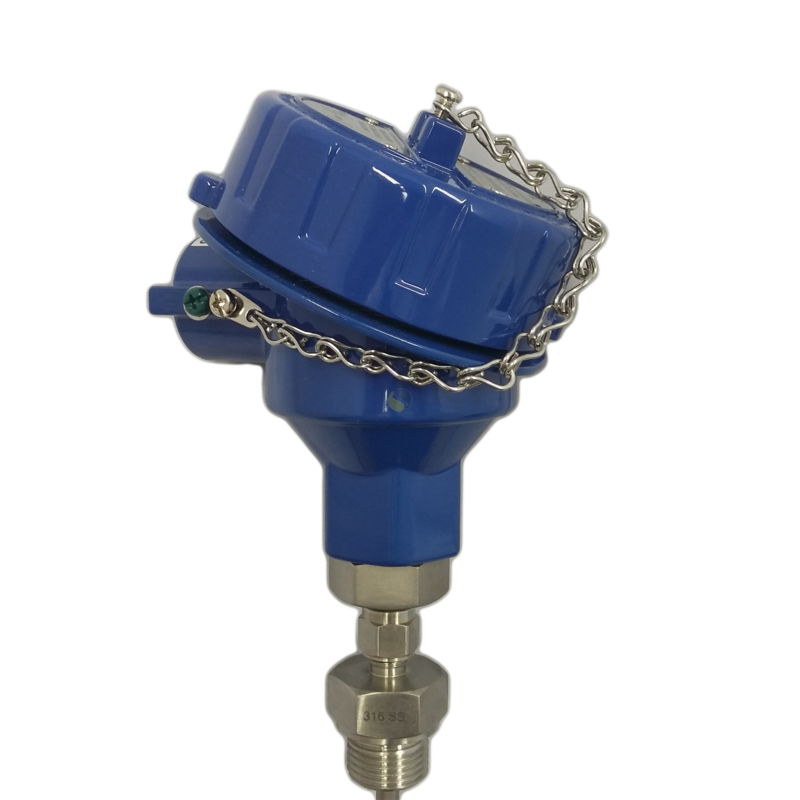 It has a standard process connection of ½” BSPP, all made from 316 stainless steel. 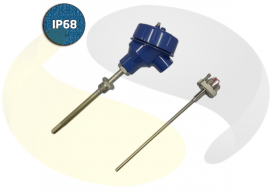 Various immersion lengths are available to suit your process with a standard lagging length of 50mm below an explosion proof terminal head. 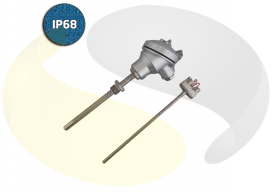 The Ex d IP68 explosion proof head and flame path collar are designed to extinguish flames inside the device, eliminating the potential for ignition of flammable mixtures in the surrounding atmosphere (when used with appropriate cable gland). It also has an M20 cable entry and comes with a ceramic terminal block or optional in-head transmitter. 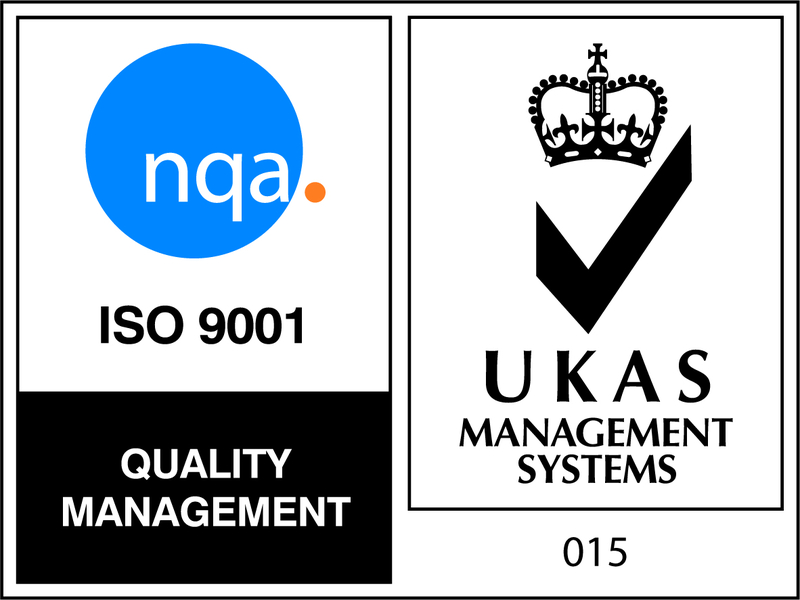 It can be supplied with an intrinsically safe (Ex ia) transmitter if required. Also available as part of a bespoke pocket or thermowell assembly.